-On January 3 Patrick A enjoyed the CAO America. -On January 10 Patrick S interviewed Robert Spoden of Bucanero Cigars. -On January 17 Patrick A tried the new Zippo Blu lighter. -On January 23 George E gave a Tatuaje Havana VI a five-stogie rating. -On January 31 George E took a look at which rare smokes get a five-stogie rating. -On February 20 we asked if it was time to re-evaluate the Cuban embargo. -On February 25 Patrick S gave the Cuban Cohiba Siglo VI five stogies. -On February 27 we spoke with Don Giolito of Illusione cigars. -On March 3 we named three Gold Star Smokes. -On March 5 Patrick A interviewed Tim Ozgener of CAO Cigars. -On March 10 we recapped the DC Stogie Guys Smoke Out. -On March 20 Patrick A and George E reviewed the Fuente Double Chateau Sun Grown. -On March 25 Patrick A reviewed the EO 601 “Blue” Maduro. -On April 1 a Dutch Master earned a perfect 5 coutesy of April Fools Day. -On April 7 Patrick A gave the Cuban Cohiba Pyramide 2006 EL four stogies. -On April 15 Jon N gave tips on enjoying cigars during a recession. -On April 28 George E gave the Tatuaje Havana VI Verocu No. 1 five stogies. -On May 5 George E interviewed Darryl Isler of Isla de Cuba Cigar. -On May 12 Patrick S smoked the Fuente Anejo Shark. -On May 28 Patrick A gave the Fuente Opus X four stogies. -On June 4 Patrick A reviewed the famous Cuban Montecristo No. 2. -On June 17 George E said, with cigars, quitting is the difference. -On June 30 the Cuban Romeo y Julieta Short Churchill earned a 5-stogie rating. -On July 3 George E implored us not to forget our local B&Ms. -On July 15 Patrick S and Jon N concluded their IPCPR Trade Show coverage. -On July 21 Jon N wrote in defense of mild cigars. -On July 22 George E gave the Tatuaje Black a rating of five stogies. -On July 24 we paired up the winning combination of Morton’s steak and PG cigars. -On August 6 Patrick S tried the Johnnie Walker Gold Label. 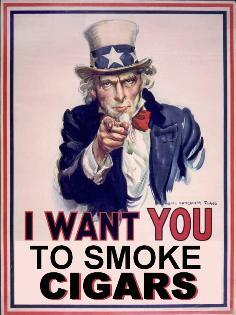 -On August 13 George E gave three tips for enhancing your smoking experience. -On September 2 Patrick S looked at cigar/golf gadgets. -On September 17 George E gave the Cubao No. 6 four and 1/2 stogies. -On September 24 we listed 9 reasons to buy more cigars. -On September 29 Patrick A gave the Cuban Bolivar Royal Corona a 5-stogie rating. -On October 6 Patrick A wrote don’t overlook boutique cigars. -On October 21 Patrick S interviewed Eddie Ortega of EO Cigars. -On October 27 we looked at the presidential candidates’ stances on cigar issues. -On November 4 Patrick S reviewed the new Cohiba Puro Dominicana. -On November 5 Patrick A recommended Jameson Irish whiskey. -On November 17 Patrick S gave the Arganese Edición Especial our highest rating. -On November 18 George E wrote that older cigars aren’t always better. -On December 1 we published a video interview with Kevork and Paul Garmirian. -On December 4 Patrick A sampled the Jameson Gold Reserve Irish whiskey. -On December 8 Patrick S reviewed the Davidoff Maduro R.
-On December 9 George E wondered about pipes and green wrappers. -On December 29 we offered up three more Gold Star Smokes. -On December 30 Patrick S evaluated the influence of Cigar Aficionado. As you can see, once again we’ve had quite a year. Be sure to keep reading in 2009 for more informative and entertaining articles from the world of cigars. And if there’s something you’d like to see us cover, please let us know. Did I miss something? What happened to Jon N? Loved his writing style.